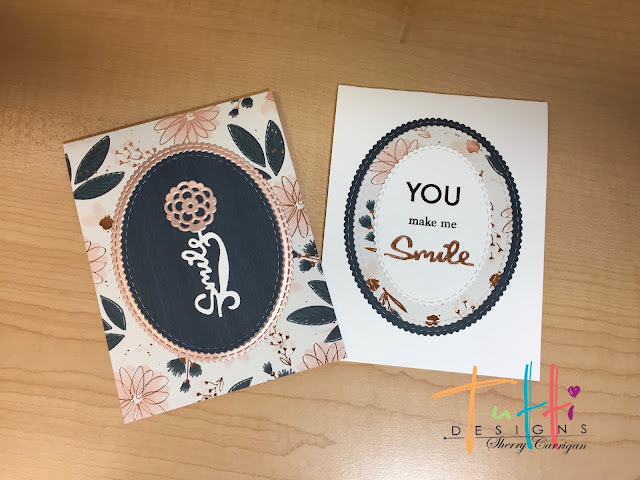 Hello everyone, Sherry, here with you again showcasing a couple of simple, but elegant cards using the "Smile" die and the "Scalloped Stitched Nesting Ovals". I normally have a video for you, however, this week did not allow time for recording and editing. I tried to catch the process in photos for you. 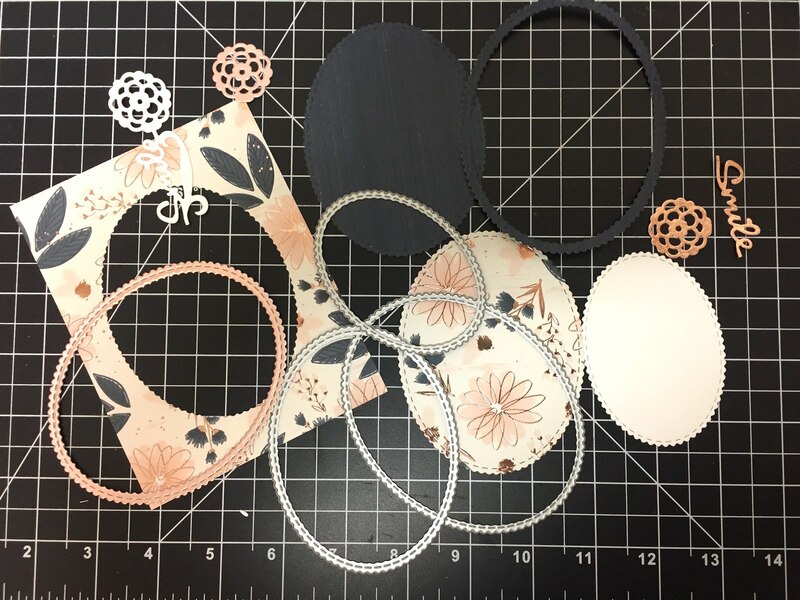 I used two sheets of 6x6 patterned paper, one sheet of Rose Gold specialty paper, and one sheet of Ivory Card Stock and one White Card Stock. 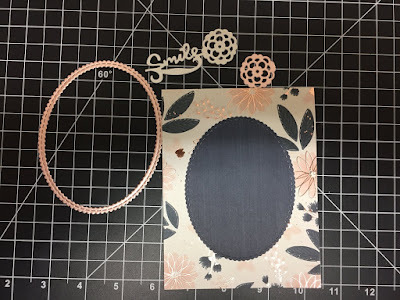 Using the second largest oval, I cut out the center of the patterned paper, then using the same, I cut out a piece of navy patterned paper. I then taped the two dies together to cut a frame from the Rose Gold paper. 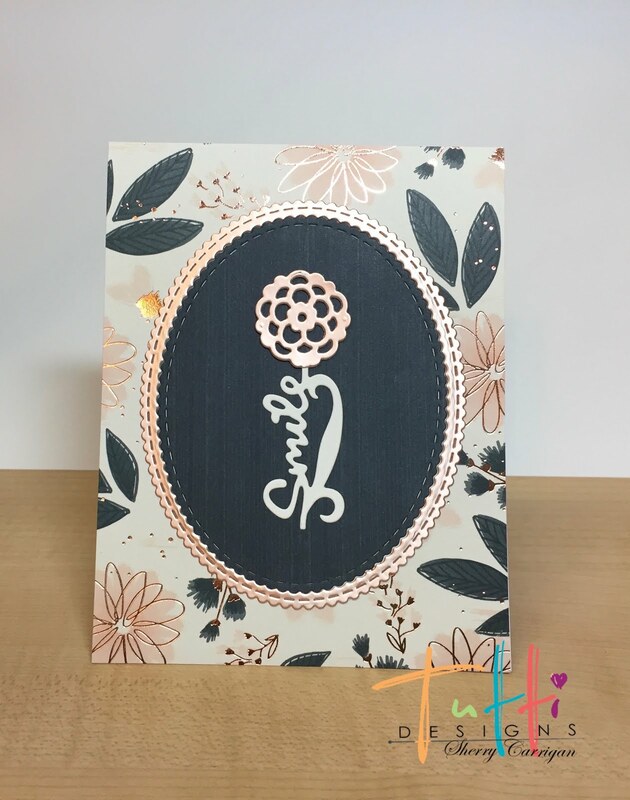 The smile die was used with both the Rose Gold paper and the Ivory. 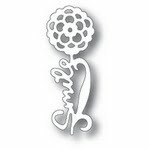 I cut the smile word away from the Rose Gold so that I had just the flower portion of the die. I put it all together to create my first clean and simple card. Using the leftover pieces, I made the second card, but this time I use another smaller Scalloped Stitched Nesting Oval to cut out an oval with the Ivory card stock and I used the "Smile" portion of the die cut in which I previously trimmed away the flower. I added a little stamping and there you have it. Two cards, a few pieces of paper and a couple of great dies! WOW! These are beautiful Sherry and I love the color/pattern. Wonderful inspiration ... thanks so much! Love both your cards Sherry, great use of that die. 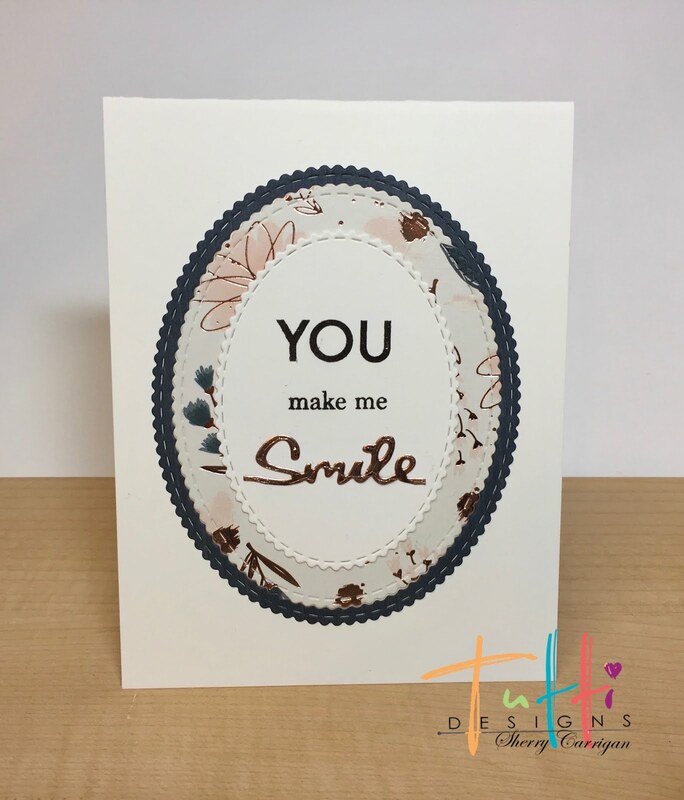 Your cards are so pretty, I love how you framed the flower! Pretty csrds, Sherry! 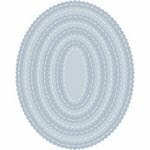 I have this paper collection and love the colors!